GMC is the official automotive sponsor of the NFL and to show gratitude to the people who serve and protect our country a collection of active military personnel were invited to come to the 2011 Pro Bowl with their families for a day of family fun as they watched some of the best players in the NFL strut their stuff. Unfortunately, with the controversial change of the Pro Bowl date to before the Super Bowl, a handful of players from the Pittsburgh Steelers and Green Bay Packers who were voted to the Pro Bowl teams who had to prepare for the February 6th Super Bowl sat out but that didn’t stop it from being an exciting shoot-out. In addition to having the 400 military personnel at the 2011 Pro Bowl, GMC invited Sgt. Gregory Bowling to present the Most Valuable Player. This award includes a trophy and Sgt. Bowling presented the MVP trophy to the Washington Redskins DeAngelo Hall, who finished the game with 6 tackles, an interception of San Diego Chargers QB Philip Rivers and finally, a 34-yard fumble return for a touchdown at the NFC scored an impressive (and record tying) 55 points to the AFC’s 41. 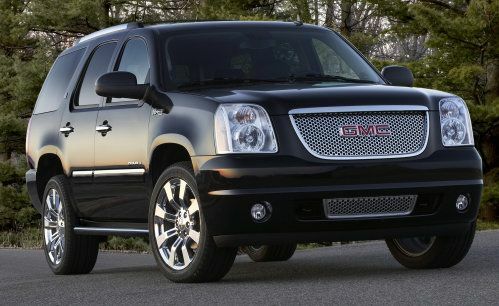 For taking home the MVP trophy, Hall also won himself a 2011 GMC Yukon Denali. Sgt. Bowling handles the mission critical computer networks that serve United States Pacific Command Headquarters and other strategic operations and he was chosen for this Pro Bowl MVP presenter position based on his duties beyond the call of duty. Bowling, who attended the game with his wife and children, is also active in children’s charities in Hawaii so between his community service and his service to the country, Sgt. Bowling was a fine choice to hand out the award for the top player in the 2011 Pro Bowl.